Last weekend, I've had the opportunity to attend the pre inaugural sailing of Royal Carribean's newest ship, Anthem of the Seas. While I prepare a post about our experience on Anthem, you can read about my experience on Quantum of the Seas, the lead ship of the Quantum-class cruise ships of which Anthem of the Seas is part of (and therefore is almost identical). During our weekend stay on board, we also attended the dress rehearsals to We Will Rock You, the popular musical based on songs by Queen. As someone who has always wanted to watch the West End musical but unable to do so, this was a once in a lifetime opportunity. There were two live dress rehearsals held on Sunday, and we enjoyed the first one so much I insisted we went to watch the second one a couple of hours later! We Will Rock You tells the story about a group of Bohemians outcast stuck in a future Orwellian world now dubbed the iPlanet where people listen to computer generated music. Free thoughts are not only frowned upon, but are also forbidden. Rock music, and the concept of rock and roll (free thinking, fashion) itself has been lost. Like Mamma Mia on Quantum of the Seas, We Will Rock You is a highly energetic, entertaining and fun musical. For older guests like us, it is always a joy to find something filled with both current and past pop culture references on any form of entertainment. 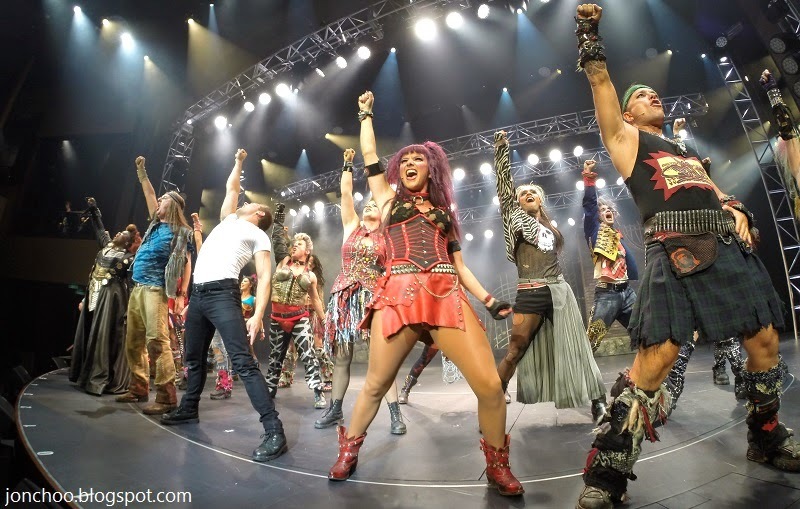 Nick Weir's, the Vice President of Entertainment of Royal Caribbean, has suggested that this is the best cast yet for We Will Rock You, and while I can't confirm that without a time machine, the cast here certainty blew my mind. If you are fortunate enough to be sailing with Anthem of the Seas, We Will Rock You is definitely something you should make time to attend.